Our event organizer, Andrea Wuttke, will be leading those who stay over into Sunday on another hike on Sunday morning. 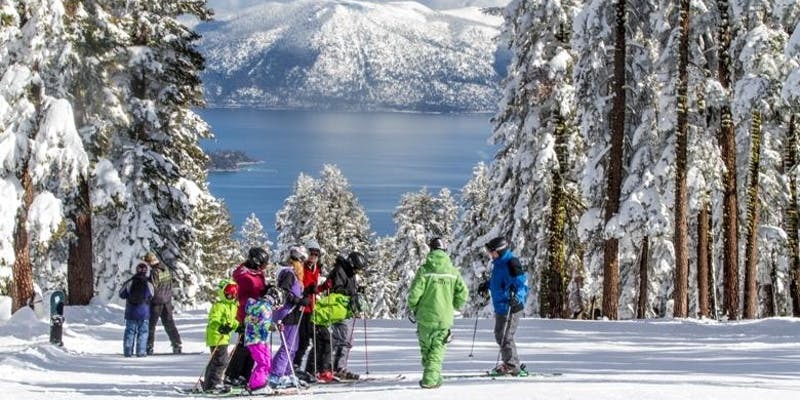 Our Saturday afternoon Snowshoe Tour begins at the resort's Cross Country, Telemark and Snowshoe Center (where you can rent area) and will take you through the pine forests down to the Village at Northstar. You will explore the wilderness of the Lake Tahoe Mountain range with stunning views to Lake Tahoe. Our tour will lead into the pine forests towards historic routes the first settlers and original tribal routes in use for centuries. Our tour ends with a downhill walk towards our dedicated fire place, we our group will be served with hot chocolate and grilled marshmallows and other delicious surprises. Outside food and beverages are allowed as well. The weather at Northstar is supposed to be great, sunny and snowy. We will move through pine forests to various scenic vistas, concluding the tour at the The Village at Northstar, where we will have a private fire pit waiting for us to enjoy snacks and hot cocoa. 12 Noon: Meet and at the Starbucks Northstar Village to check in for our group. 4-5PM Conclude Tour at The Village at Northstar. We will have a firepit waiting for us for a relaxed time of hot drinks and snacks. Optional: Dinner with the group at a nearby restaurant. Details to be sent to registered guests. Q: Do I need snowshoe experience? A: No! This trip is appropriate for novices as well as experienced snowshoers. Q: How strenuous will the hike be? A: We will move at a pace appropriate to our group as assessed by our guides. There isn't a lot of elevation change on these trails, so we will not cross steep terrain. Q: What special gear, clothing or equipment do I need? A: All the special equipment is included in the tour price, including the boots to wear with the snowshoes. We recommend that you wear layers appropriate to snow and have pants that are water resistant or moisture wicking. Gloves, hats, scarves and sunglasses are also recommended. For those staying over into Sunday, part of the group will be meeting for another hike led by Andrea Wuttke, details to be sent to registered attendees. Andrea will be on site and will give your names to the venue so that you can be admitted when you arrive. Her E-Mail is listed below so you can email her you have any further questions or difficulties connecting with the group.